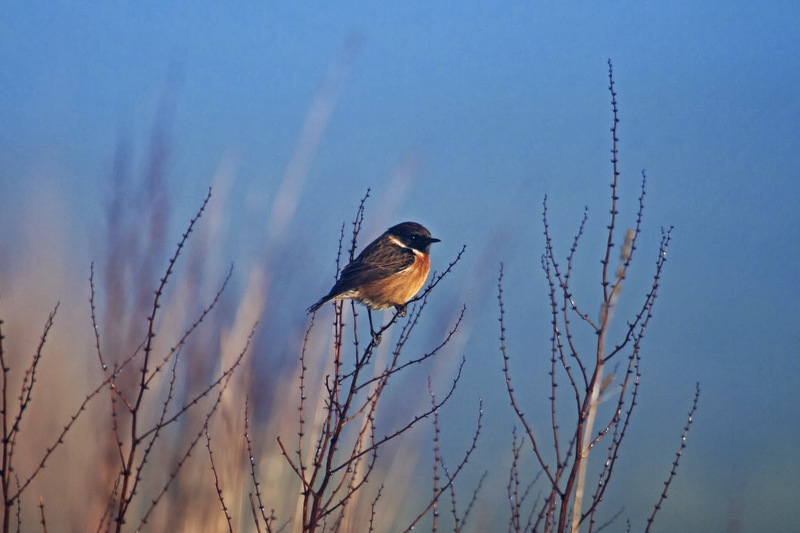 Superb photos of a male stonechat Andrew - nice one. Were these from when you first saw it or from today? I might go tomorrow and have a look. Hi these were from 7.45am this morning just as the sun was breaking through the freezing fog. Just a total fluke I went for a stroll yesterday in the drizzle and saw it(sunday) I went back Monday afternoon and got a much cleaner shot, it tolerated me from about 3 yards away. On my flicker page, username collydog2!